The 88th Annual Academy Awards will be bestowed on Sunday, February 28th, and GeekScholars Movie News is ready to reveal their predictions. Listen as Fox, Chris, and Jill debate (and agree!) on who will walk away Oscar. From there, it’s a round of Never Tell Me the Odds as the hosts consider the probability that: Wolverine 3 gets a “R” rating, Adam McKay directs Ant-Man and the Wasp, Julianne Moore plays the antagonist in the Kingsman: The Secret Service sequel, Keira Knightley portrays Catherine the Great, Robert Downey, Jr. gets his Pinocchio movie made, and Emily Blunts plays Mary Poppins. Welcome to the ONE YEAR ANNIVERSARY of the GeekScholars Movie News Podcast!!!! This week’s episodes’ headlines include some new tidbits about The Hangover Part 3, The Wolverine, The Expendables 3, a Daredevil reboot and more! From there, we take a look at the first trailers for Seven Psychopaths, Schwarzenegger’s The Last Stand, and Stallone’s Bullet to the Head. And that’s all perfect, because we round out the show hearing from GeekScholars Fox and Jill with their thoughts on the 80?s throwback action film The Expendables 2. As always, we close out the show looking ahead to next weekend’s box office. Enjoy! We would love to hear from you, so please submit comments or questions to us by writing to: mail@geekscholars.com. Mail is awesome! Thanks, as always, to the 440 Alliance for allowing us to use their music! Click here to subscribe to GeekScholars Movie News on iTunes! Wolverine Goes To Hell! Big Wolverine Crossover Coming! Although I don’t buy as many comics as I used, I still have a sentimental attachment to Wolverine and his funky mask [that mirrors his hairdo!] and those wicked cool claws. 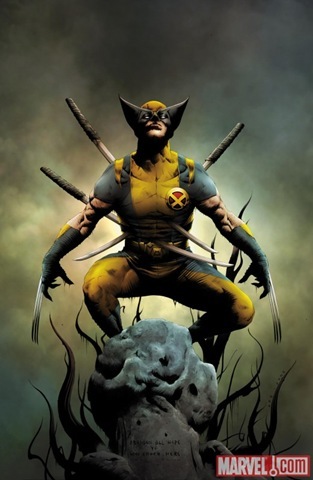 So, when a first look at something called Wolverine Goes to Hell popped up in my inbox, I knew I had to share. More preview covers and pages [and release info] follows the jump. What’s Good: The X-Men comic book movies are purely character driven. It’s their interactions with each other and society as a whole which keeps the story as a whole interesting. So with that in mind, I have to give some credit to Live Schreiber pulling off a pretty convincing villain in Sabertooth. As opposed to his appearance in the first X-Men movie, Victor Creed in this film is far more cunning and vicious. While he’s not on screen all that much, Ryan Reynolds also does a decent job of capturing Wade Wilson’s personality and mannerisms. Jackman is very good as Wolverine, of course, but this isn’t surprising since it’s his fourth outing as the character. Easily the best scenes are the fights and the verbal exchanges between Wolverine and Sabretooth. 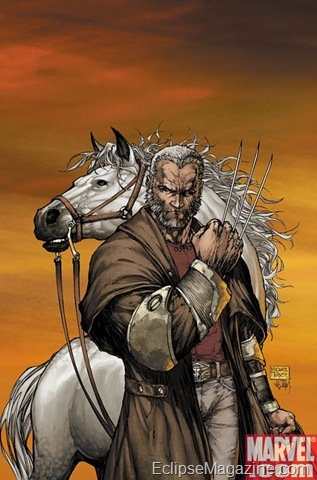 What’s Bad: Sadly, while I liked certain individual performances in certain scenes, I have to say X-Men: Origins: Wolverine, on the whole, is a misfire. To start, fans of the comics, from those who are only vaguely familiar with the characters to the die-hard purists will see some major creative liberties taken with the characters which feeling jarring and out of place. Specifically, Gambit and Deadpool are handled often times in cringe worthy fashion. The plot itself has very good heart to it, but can never seem to find its legs to be stable. X-Men Origins: Wolverine wants to be too many things at once: an epic drama, a mystery, and an off-the-wall action movie, that it never really gets its footing. Even the fight sequences feel a little bland. After seeing such films like Iron Man, The Dark Knight and even the second X-Men movie, when these characters cease to live in a realistic world, it becomes more distracting than enjoyable. Parting Thoughts: This movie has the same feel to me as Indiana Jones and the Kingdom of the Crystal Skull did. I think fans will want to see this movie just because it continues to have Hugh Jackman as the clawed mutant, and there’s no debate that as a character, Wolverine is fun to watch. However, this is not the movie fans are hoping for. There are too many “groan” moments to not leave the theater with a little bit of a bitter taste in your mouth. Recommendation: For people who have enjoyed Hugh Jackman in the role of Wolverine; it’s slightly better than X-Men: The Last Stand, but nowhere near the quality of X2: X-Men United. Most will see it in theaters, but you could wait to rent it to satisfy your curiosity. Three universes collide this year during writer Mark Millar’s run on exciting Marvel titles. Beginning with his newest epic tale, 1985, Millar lays down the foundation for things to come as Marvel: 1985, FANTASTIC FOUR and WOLVERINE all intertwine in a very big way. After his run on Ultimates, and his unforgettable blockbuster Civil War, Millar explores remote and familiar corners of the Marvel Universe in ways that only the man behind such past blockbuster series could. Watch as these stories come to life with the help of long time Ultimates collaborator Bryan Hitch, Civil War’s Steve McNiven, and renowned film and comic artist Tommy Lee Edwards.